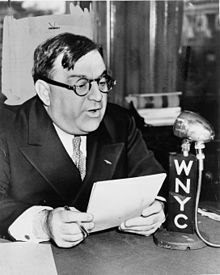 New York’s “LaGuardia Loop” is named for famed NYC mayor Fiorello LaGuardia (1882-1947, photo at right). LaGuardia was energetic, charismatic, and short: he was only five feet, two inches tall! Like the mayor, this route is quite short–but the constant turns and rollers keep things interesting. This course is perfect for crit-style races with a high number of laps. This is Zwift’s first official “event only” route, so you can’t pick it for a free ride from the routes list–you have to join an event which uses this route. (Tip: want to search for events that use this route? 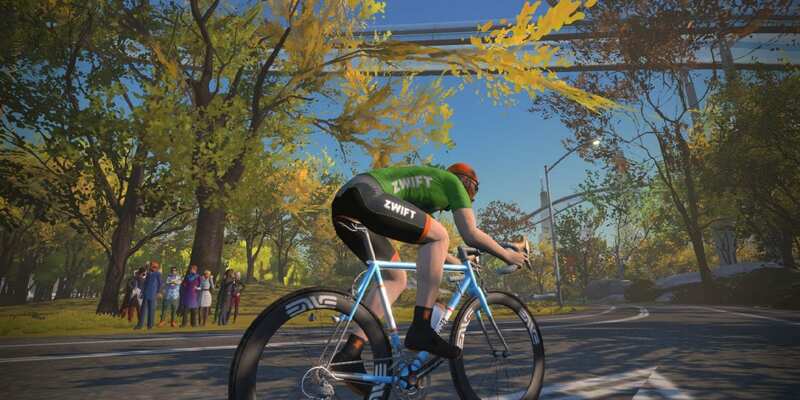 Visit the ZwiftHacks events page and search for “laguardia loop”). This route travels south from the start pens, then stays on Central Park’s ground-level southern loop for as many laps as you can take. The lap banner is the sprint banner, so for events you have a “lead-in” section from the start pens to the banner. We’ve created a Strava segment for this lead-in, as well as the laps. There is also a reverse version of this loop, but we haven’t yet created that segment. Van you make the reverse strava segment?